Due to the realistic appearance and wide variety of styles and colors, manufactured stone has become a favorite for homeowners, builders and architects all across the country. Today’s top quality stone veneers are lighter, more moisture resistant, and less expensive than those of previous years. Hometown Exterior Design’s stone products come from our trusted partner companies are are the highest quality available on the market. 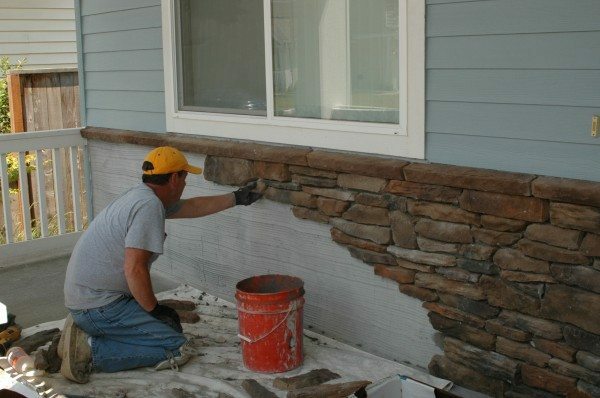 Our team of experts will work with you to create a unique stone accent design sure to make your home “pop” and look great for many years to come! Customize the look of your home with beautiful stone accents! 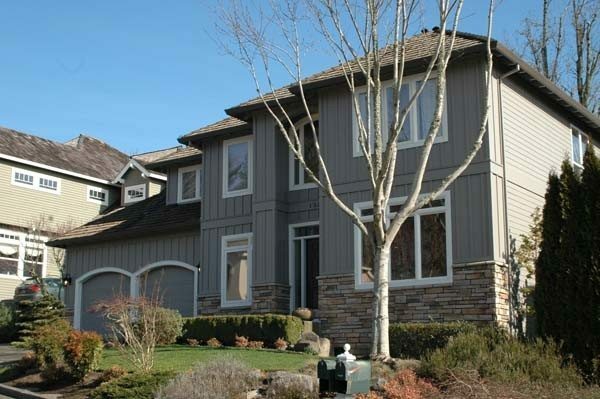 Hometown Exterior Designs utilizes a variety of products for our stone work. 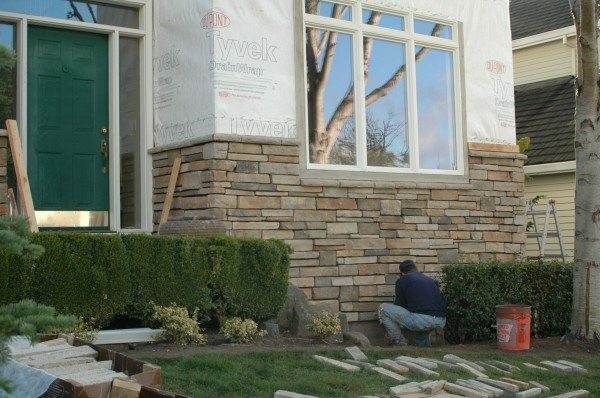 We care true masonry stone while others are high tech, light weight synthetic stone materials that have the look and feel of true stone products at a lower cost and without the same structural considerations. You’re sure to find the texture, color and pattern for your stone work design among our many styles. 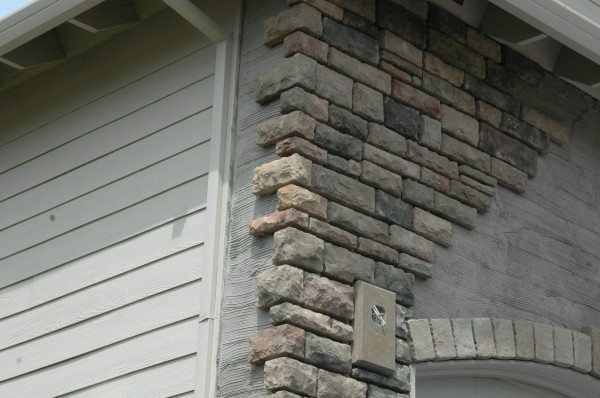 True masonry stone products require a certain amount of structural support due to their weight. However, synthetic stone materials are lighter and more easily arranged on any part of your home without the same structural considerations. Use stone accents on an entryway, around windows or doors as unique columns – or just about anywhere on your home you can think of! Our experienced professionals will assist you with design ideas and help you decide on the product type and style that will be perfect for your home, lifestyle, and budget – so you can be completely confident of your decision before we start your project for you! And the proof is in the pictures! Check out some of our recent stone accent installations from our happy home owners.